Have you looked at a crèche this year, or perhaps set-up a Nativity scene at home? My home's next to the huge Gustav Vasa Church in central Stockholm (Sweden). 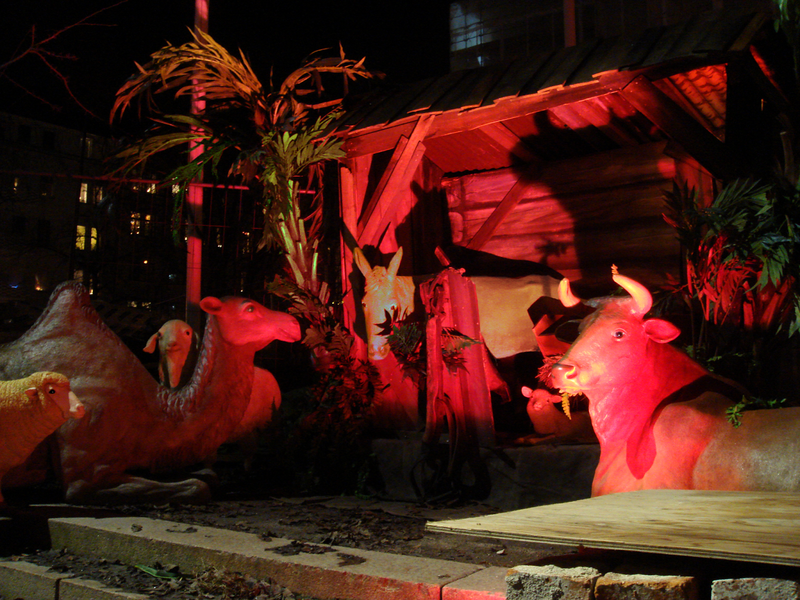 This year the crèche attracted my attention because the church is closed for renovation. 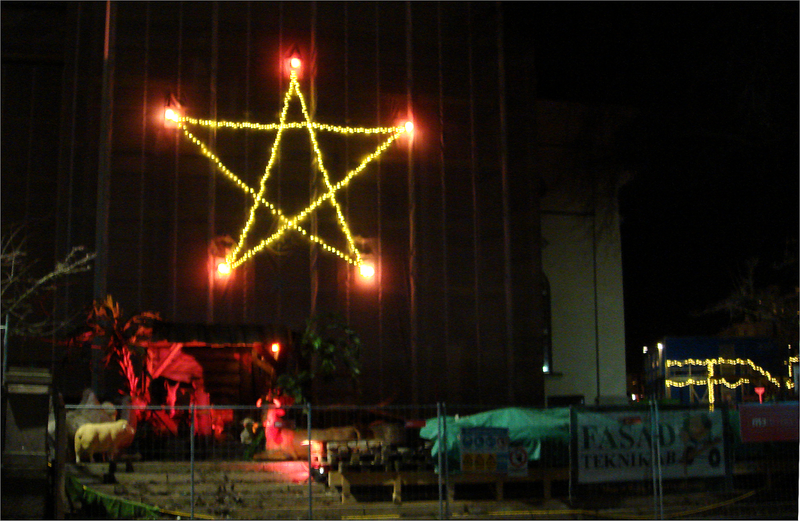 Behind a construction fence and among the rubble of reconstruction, we can see a huge star of lights and the crèche. It's a progressive crèche. Somewhat similar to the Advent candles, where one more is lit each week, this crèche changes over the holiday season to follow the Nativity story. Now it's 23rd December, and only animals are in the manger. Sometime tomorrow, Joseph & Mary will arrive. And in the wee hours of the next morning, we can expect the Christ child. They'll be joined by the Magi, three wise men. Please draw your own lessons. Merry Christmas!